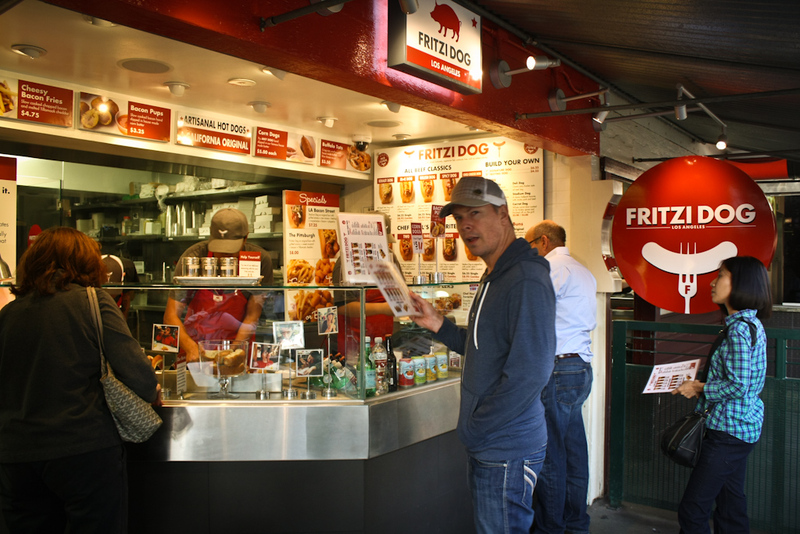 Fritzi Dog is a new gourmet hot dog stand inside the Original Farmers Market next to the Grove. It’s going to do well because of it’s location. 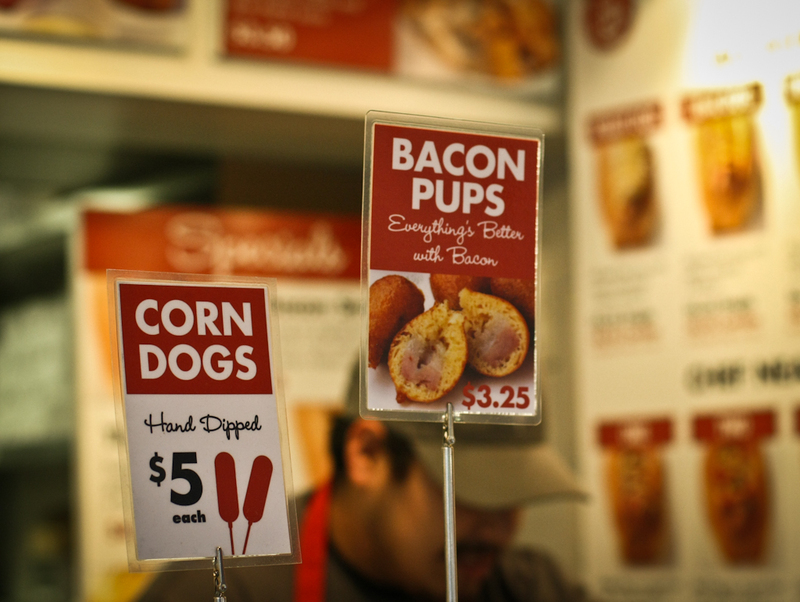 Naive, innocent, nubile tourists are going to spend too much on a hot dog because it’s right there and well, why not, this must be an LA thing, right? So, you’re paying $8 for all that. 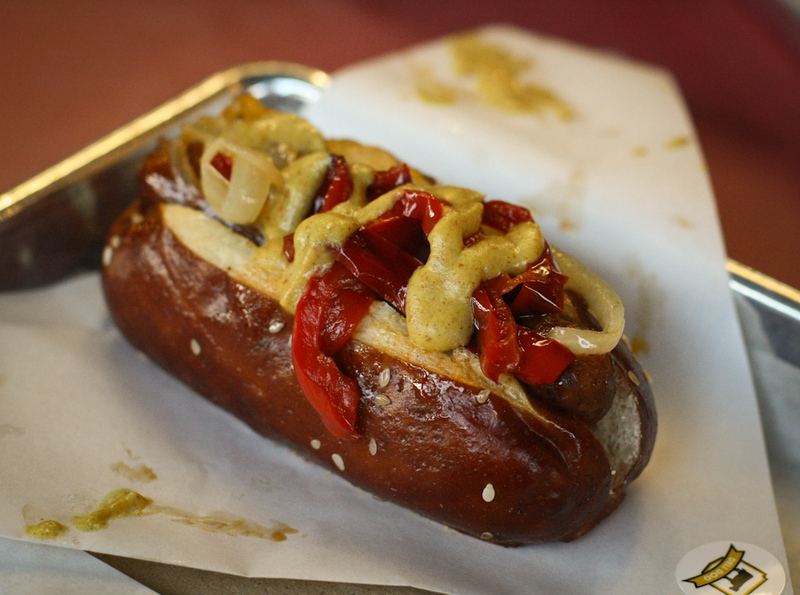 I loved the pretzel buns, even though they’re more filling. Very tasty. I appreciated being able to order the smaller (5 inch) sizes of all the dogs. 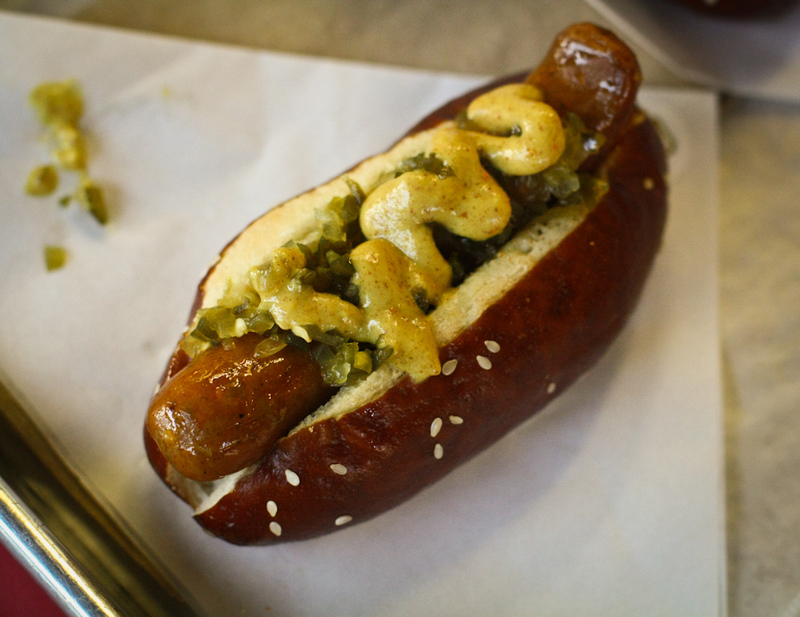 The Cali Dog’s unique spices really shone through. 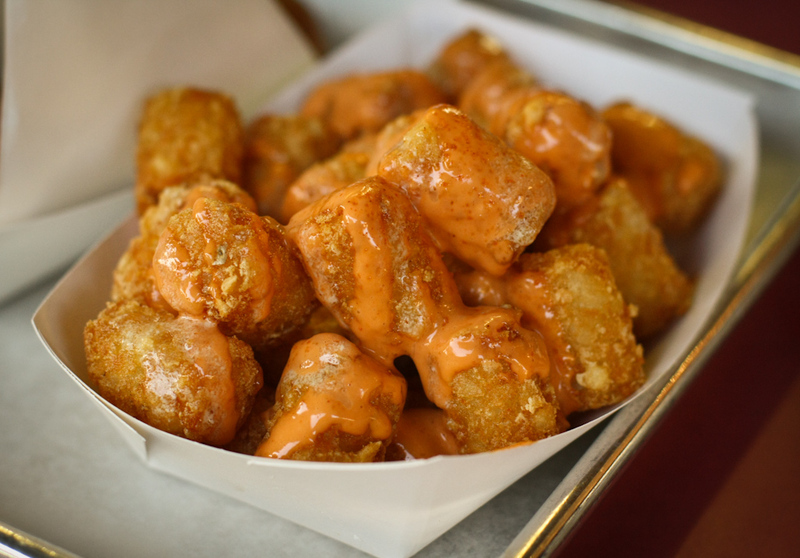 The Tots were perfection. Although there could have been a bit more buffalo sauce. They’re a buck or two overpriced. The dogs were rather thin. 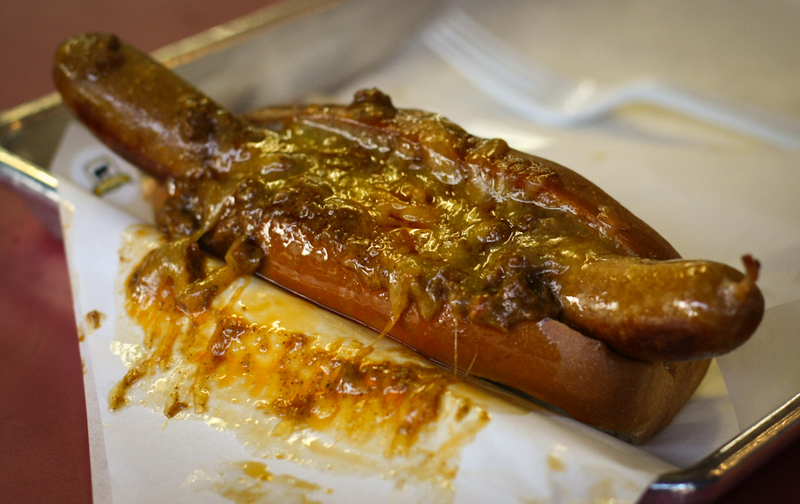 The toppings overpowered and I could barely taste the actual hot dog. 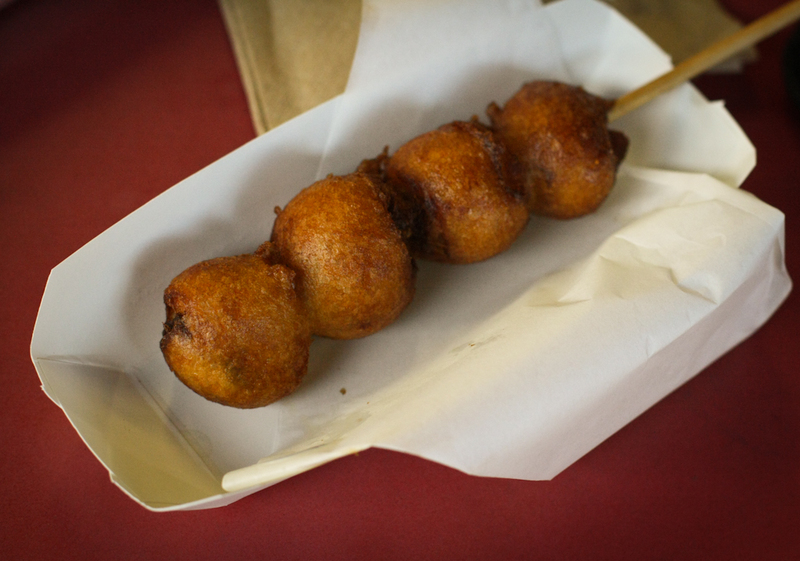 Bacon Pups – Like Corn Dog Bites but with Bacon!